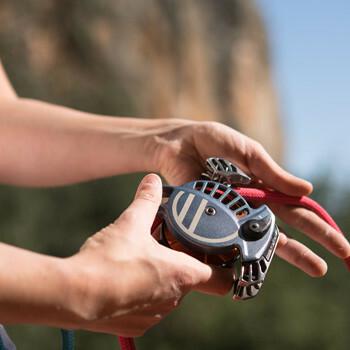 The REVO is a tube-style device with a backup-locking mechanism. The Bi-Directional assisted locking belay device functions independent from the loading orientation of the rope, thus eliminating one of the most common causes of belay related accidents. 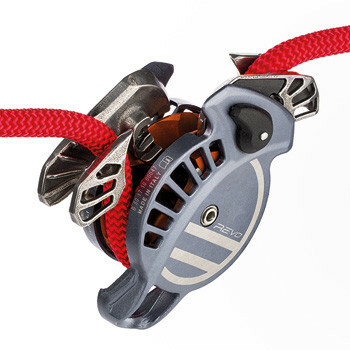 The REVO is a tube-style device with a backup-locking mechanism. In its primary function the REVO is used like a tube-style belay device where the belayer is responsible for maintaining control of the rope; feeding out and taking in slack, and catching a falling climber by pulling the rope tight against the device. 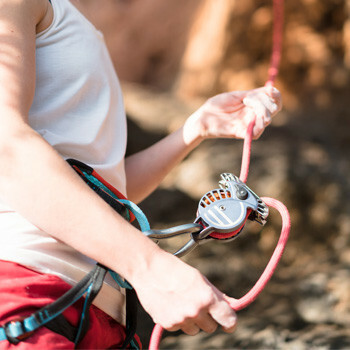 While standard belay technique is required, the REVO has the added security of the innovative backup-locking mechanism. The mechanism ensures that if the belayer loses control of the rope when a climber falls, i.e. 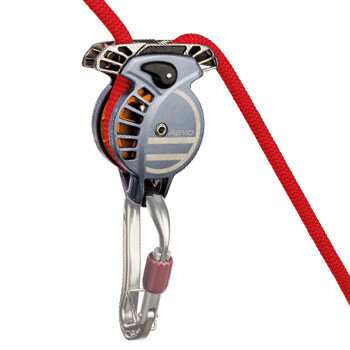 there is excess slack in the system, the REVO will lock and block the rope. This function is automatic and cannot accidentally be overridden.